Who would have thought that there would be so much controversy over dog training technique? Seems that dog trainers have trouble getting along due to the style in which they choose to follow and teach. I would like to believe that one becomes involved with Dogs and Their People to be helpful to all parties concerned, that would be the dogs and their families. I also believe that if one is to be successful much of the time that they need a certain skill set. Being a successful dog trainer involves having good dog-training skills and just as importantly good people training skills as well. Positive reinforcement that involves the addition of something good for a task well done. Negative reinforcement that involves the removal of something bad when a task is well done. Positive punishment that involves the addition of something bad when a task is not done. Negative punishment that involves the removal of something good when a task is not done. Training concepts are the foundation of dog training and all good trainers know that dogs learn from consequences and reinforcement. The keys to success are in knowing when to use the appropriate reinforcement. Regardless of the reinforcement type used, dog training is a mechanical skill. No one is born with these mechanical skills and once learned they need to be constantly improved upon. 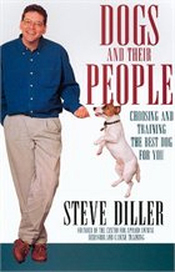 I feel that it is important to say that one can not be a qualified dog trainer simply by reading all there is to read about dogs and their training. Reading is wonderful and there is much to learn from reading but one can’t develop mechanical skills from a book. Dog trainers that boast credentials obtained by passing a written exam may not have been proven to be effective without a practical exam as well. Dogs are our best teachers so when we can learn from observation how they behave normally we are best equipped to recognize abnormal behaviors. Practicing the mechanical skills allow us to often change unwanted behaviors to more appropriate ones using both conditioning and training formats. While I am a student of reinforcement, I personally begin my training program using positive reinforcement. I believe that teaching an animal to behave requires that the animal figure out how to initiate a behavior in an effort to receive positive reinforcement, this is done through behavioral shaping. I do not subscribe to dominance as a teaching tool. Dominant behavior in dogs is well worth a discussion but that talk has no place in training dogs to behave in specific manners. In the early 1970’s when I was learning my mechanical skills, the tools used most commonly were the six-foot leash and the chain-training collar. Admittedly, these were difficult tools to master as if a correction was administered too hard, the dog had a negative reaction to the goal and when a correction was too soft, the dog was bothered by the action but no learning took place. I often watched a few of my instructors dance across the floor with their dogs attentively gazing into their eyes while perfectly heeling on a loose leash, clearly they had mastered the mechanical skills of negative reinforcement. Practice and getting yelled at by my teachers eventually taught me how to be sensitive enough to the dog on the end of my leash. I learned the art of negative reinforcement but I learned something else as well. I learned that it was difficult at best to try to teach negative reinforcement to my clients, they had no real interest in becoming a dog trainer, and they simply wanted a well-behaved pet and would not practice endlessly toward that goal. So, I found too many of my clients allowing their dogs to hack and choke at the end of the leash, which was not acceptable. My experience with training homing pigeons and food reinforcement entered my world of dog training and the outcome has been one of a more successful pairing between owners and dogs. Reward based training is also a mechanical skill; timing is imperative in any form of reinforcement so practice is essential. One difference between negative reinforcement and positive reinforcement is that a poorly timed leash correction may have serious negative fallout creating trust issues while miss-timing of a food treat may not result in a correctly learned behavior but it is less likely to create secondary problems. The trainer with the best skills is open minded, has keen observational skills and does their best at knowing what is possible and how to best build good character in dogs.